Munch Miami is a gluten-free guide founded by a guy who never thought he could give up beer, pizza, and sandwiches. 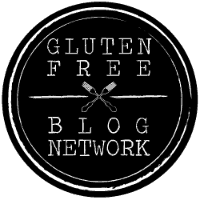 Beyond being a gluten-free resource, we are dedicated to educating the foodie culture on what a gluten-free lifestyle involves. We strive to share recipes, feature restaurant, and review products so those making this transition can continue living as seamlessly as possible. Whether you’re choosing to follow a healthier diet or you have a gluten-related condition, you can rely on Munch Miami for all your gluten-free needs! ***Please keep in mind that many of the restaurants we visit are not dedicated gluten-free facilities and they do not have dedicated preparation areas or dedicated cooking equipment. Therefore, there could be a risk of slight cross-contamination.